As the jasmine plants are from tropical regions, they need warm sun to grow properly and do not tolerate very low winter temperatures. However, if you are growing winter jasmine, it may be blooming or become dormant in winter and will bloom again from spring to autumn. 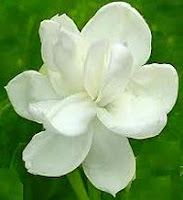 Jasmines (Jasminum) are widely cultivated for their sweet and enchanting fragrance. There are about 200 varieties of jasmine which grow well in tropical and warm temperate regions. They can be grown in hardiness zones 6 to 11. But when winter comes, then the jasmine plants, except the winter jasmine (Jasminum nudiflorum) become to suffer and even die. How to look after Jasmine during winter months? Except than winter jasmine type, even if you are growing a jasmine variety, suitable or not suitable to your growing hardiness zone, you need to take special care during winter to prevent the plant from suffering or even dying. You can take care of your jasmine plant in the following manner in winter. Apply a thick layer of organic mulch like sugarcane mulch or straw or wood chips to the the jasmine plant in winter. Remove all the dried and weak branches and dead wood. Prune your jasmine plant in winter so the sunlight can reach to all the parts of the plant. If the plant is dying, cut down the stems to 8 inch above the ground. If grown in the garden, you can protect the jasmine plan by enclosing it in an enclosure made out of a plastic sheet. Put Christmas lights around the stems and light them during night to provide some heat to the plant. Move your jasmine plant indoors if it is planted in a pot. Indoors, you must select a place which is humid and also receives natural light, like kitchen, bathroom or laundry room. Use fluorescent lighting to substitute natural light. I move my jasmine plant in a verandah or to the garage. During winter, you may be using heaters indoors all the day. This will make the air dry, which may cause the plant to shed its leaves and it can even die. Use a mist sprayer near the plant or a vaporizer to keep the air moist. Also put the plant on a tray of pebbles and water.